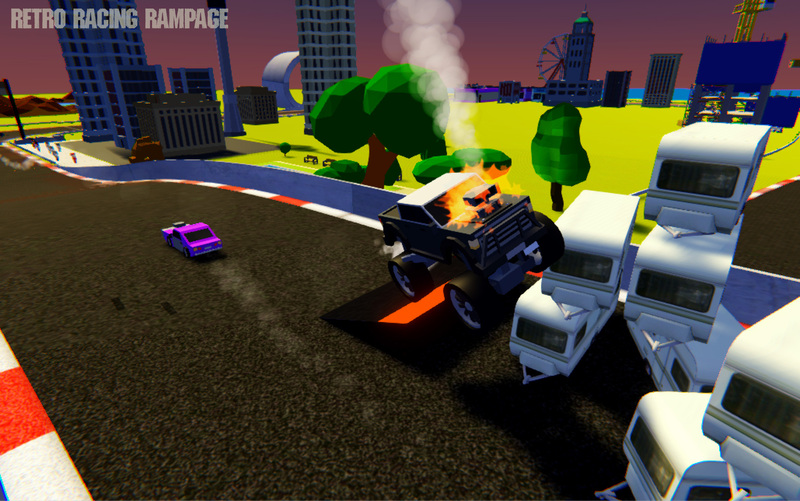 Retro Racing Rampage is a multi-mode low poly racing game for most platforms, it includes a standard race mode, a crash mode as well as an arena based Auto Royale mode for vehicular (and Caravan) carnage. Do you remember in days of old, where you could just put a racing game on, have fun racing around a track, not having to worry about open-world nonsense, having to use a gps to race or wondering if crashing was going to slow you down, pah, we didn't care much for those times either. Our goal with Retro Racing Rampage was to re-live our favourite racing games, the likes of Super-Offroad on the SNES, or Supercars on the Amiga and of course, crash mode on Burnout. We wanted something that was simple to play, accessible and just like we had in Heavy Steel, cross-platform multiplayer. Our chief goals to achieve this has always been. 1.. Pickup and play : It should be really simple to get into the game and to play. No wading through screens and screens of options and car setup, you should be in the game from the main screen with just picking a car and track. Also controls need to be as simple as possible as well as accessible, so we're aiming for touch, tilt, keyboard and gamepad controller support form the get-go (we regret not adding gamepad control to Heavy Steel had there have been more interest in the game we would have). 2.. Local and online multiplayer : We remember the good old days of couch-coop, we want that same feeling again of being sat on your sofa with a few friends, shouting at each other as you crash into them, taking first place. 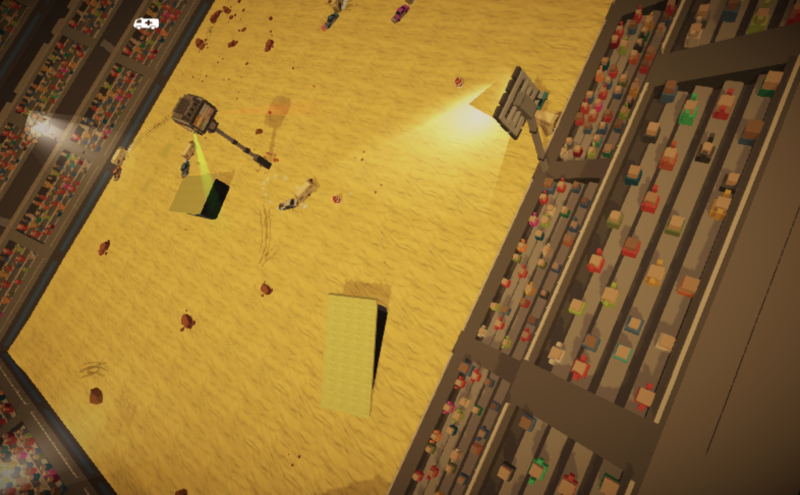 As well as local coop we will of course have online multiplayer, as we are using UNET for multiplayer we will also have ad-hoc multiplayer, so a bunch of you on the train (haven forbid we encourage you to play in class ;P) or out at the coffee shop can just jump into a little impromptu game. 3.. 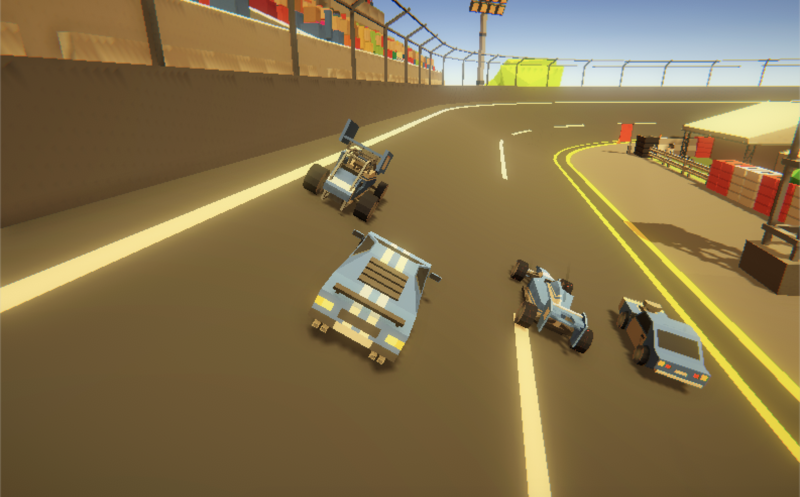 Simple tracks : To give everyone the same change to win, we didn't want vast, sprawling tracks, yes, we have one track based around the real-life town of Caernarfon which has a number of shortcuts available but in general, we wanted tracks that you could play in top-down mode, back to the old days of super sprint, supercars etc. so we had to make sure they were not overly complicated so that they wouldn't obstruct your view when racing. 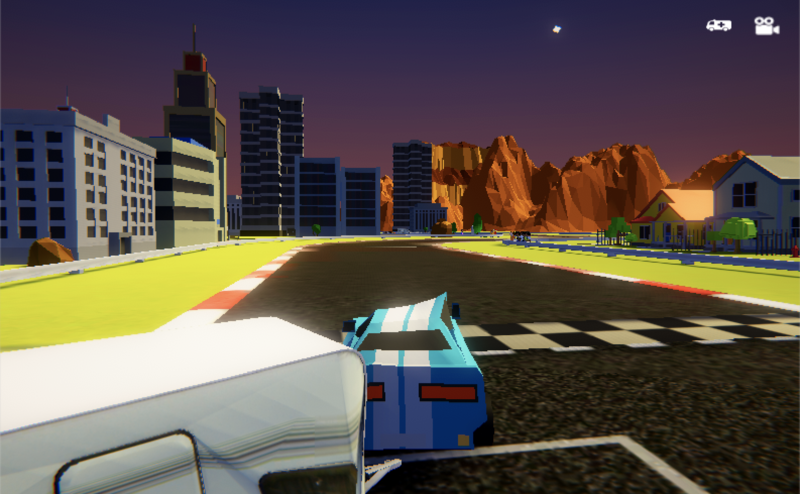 4.. Vechicle selection : Another important feature was giving players the chance to pick a vehicle they would have fun with, so each vehicle has it's own characteristics, drive trucks, racing cars, supercars and a host of others, each of which can be unlocked as you progress through the game. 6.. 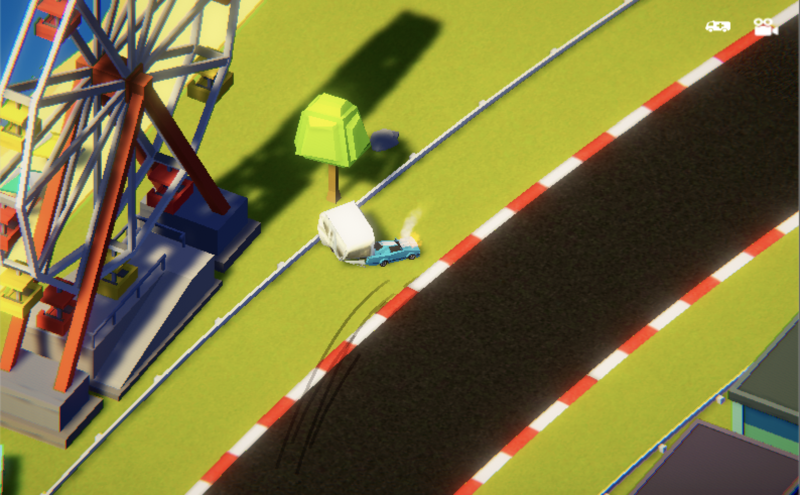 Cosmetic damage only : We wanted to make crashing into your friends fun, but not to hinder them if you do, so all the damage (in race mode only) is cosmetic. 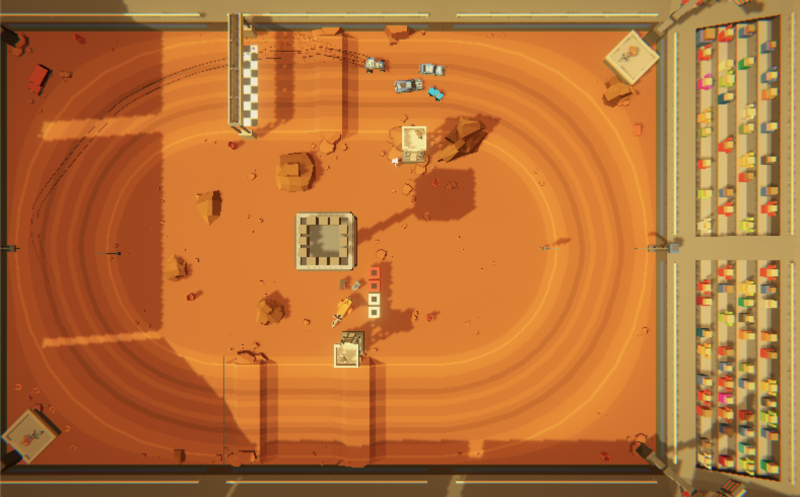 In the arena Auto Royale mode of course it's a diffrent story, with damage having a very real effect on your speed and handling, but in race mode there's no real advantage beyond your skill. We're hard at work bringing all these features so we can launch in the coming months, the bulk of the game is now complete, we just need to add some more courses and start on the UI (it's non existent atm! ), please follow us on twitter for more news as it happens. It really remind of gaming in the 90s. Lot of nostalgia looking at those screenshots. Will definitely keep an eye out for the release. Will it have a MAC or Linux version? I like the retro over the top view that reminds me of off-road for Nintendo and standing arcade games.